Do you like smoothies? I know I sure do! Not only do they normally taste really good, there are easy and normally good for you. I mean if you can put stuff in a blender and push a button, then you can make a smoothie. So just about everyone should be able to master a smoothie recipe. They make for a really great on the go food! You can mix up a nice healthy smoothie, then pour it in a to go cup and out the door you go. Not all smoothie recipes are super healthy for you as some can add a lot of sugar and unhealthy fats and other stuff to them. But most have at least some health benefits. If you are looking to try a new healthy smoothie recipe, I have a protein smoothie recipe for you. 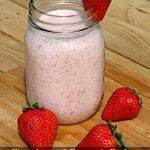 This recipe is for a strawberry and pineapple protein smoothie, that is made with coconut oil. Using the coconut oil, just adds another layer of extra healthy benefits to your super tasty smoothie. Ready to give it a try? You may want to take a look on all the Coconut Oil Uses And Benefits. Do you have any smoothie recipes or better yet protein smoothie recipes that you enjoy? If so I would love to hear them! I am always looking for new ones to try. Feel free to leave them in the comments below. 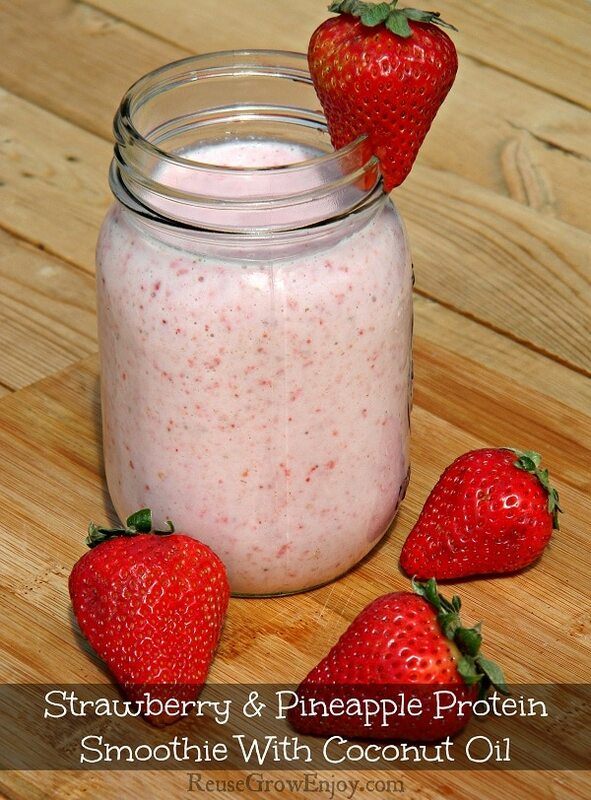 Place all ingredients in a blender, mix well. Make sure you blend until your ice is really crushed up. That's it! Now just pour into a glass or to go cup and enjoy!